Crossfit was conceived in the middle of 1995 in the USA basically as a fitness regimen for enforcement authorities and firefighters. Due to its effectiveness it became popular rapidly among all sport lovers and it is done every day on five continents. 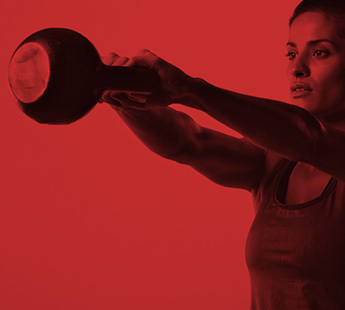 The Crossfit programme is built on three fundamental pillars: METABOLICS (cardiovascular exercises), GYMNASTICS (callisthenic exercises) y WEIGHTLIFTING (weight training). Crossfit is the result of different exercises of these three fundamental pillars, mixed in numerous combinations and executed at high intensity. The purpose of Crossfit is to train all the physical skills in order to create a complete athlete. Strenght: the ability of our body to exert force by contracting muscles on their own or in an integrated manner. Cardiovascular/respiratory endurance: the ability of body system to gather, process and deliver oxygen. Stamina: the ability of body system to process, deliver, store and utilize energy. Balance: the ability to control the placement of the body’s centre of gravity in relation to its support base. Power: the ability of a muscular unit, or combination of units, to apply maximum force in minimum time.